Instrumental Music is a co-curricular activity which provides students with the opportunity to learn a musical instrument with a focus on ensemble performance. Each year our music students have the opportunity of performing in a number of bands and ensembles within the school and throughout the wider community. Highlights of each year include bands competing in the Mount Gambier Jazz Festival and the Melbourne Bands Festival. Both of these events involve top music schools from across Australia. 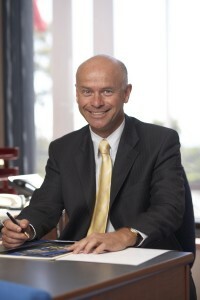 Each year Frankston High School has great success. In 2012 (lookup results for both events) . These results are a great tribute to our highly talented teachers and students. Tuition is available on a wide variety of instruments including flute, clarinet, oboe, saxophone, trumpet, trombone, French horn, percussion, voice, piano, bass guitar and electric guitar. All students in the program must be a member of one of the major ensembles listed below, and are expected to attend all rehearsals, which are held once a week after school. All the ensembles give a number of performances throughout the year. This ensemble is for students with twelve to eighteen months playing experience. This involves students who have been learning for two years or more. The Senior Concert Band is for advanced students with three or more years playing experience. Entry is by audition. Students may wish to broaden their performance experience by joining one of our stage bands (ensembles of approximately twenty students with a focus on jazz). Entry to the Junior, Intermediate and Senior Stage Bands is by audition, and must be taken in conjunction with participation in at least one of the previously listed bands. As well as classroom Drama, students can work alongside a dedicated team of teachers each year to put on a school musical. Previous productions include: ‘Fame’, ‘Grease’, ‘High School Musical’, ‘Annie’, ‘Little Shop of Horrors’ and ‘The Wiz’. Over the course of the rehearsal period and for the run of the show the production team work together with the close knit cast to choreograph, direct, learn songs and to design and create sets and costumes to ensure the success of the show each year. The school musical environment is buzzing, happy and fun. Students mix with and become friends with students across all year levels.